1060 aluminum sheet is pretty similar to 1050 aluminum alloy with more than 0.1% of aluminum by weight. 1100 aluminum sheet is the most commercially pure alloy of all the aluminum grades. 3003 aluminum alloy is an aluminium-manganese alloy which approximately 20% stronger than alloy 1100. Haomei Al. is both a 5083 aluminum plate manufacturer and supplier with 18 years experience. So factory price is available. 5086 aluminum plate has high strength capacity than 5052 and 5083 aluminum plate but it is not strengthened by heat treatment. 5052 aluminum sheet of Haomei aluminum is certificated to ASTM B209 and it can be cut to size at customers's need. 6061 aluminum plate sheet can be processed into varieties of tempers such as O T4 T6 T651 etc. 1050 aluminum sheet belongs to commercially pure wrought family with a purity of 99.5% Aluminum. 6063 Aluminum Sheet is an aluminum alloy with magnesium and silicon as the alloying elements. 7075 aluminum sheet (Al-Zn-Mg-Cu) belongs to super-hard aluminum. As a kind of cold finished wrought alloy it has great strength and hardness. Haomei Aluminium Closure Sheets are suitable for both transparent and non-transparent lacquering and will not bend during curing process. 5754 aluminum alloy is a typical alloy of Al-Mg elements with moderate strength excellent processing performance. 3105 aluminum sheet with 98% pure aluminum and slight alloy additions for strength. 3104 aluminum sheet (AL-Mn) belongs to modification aluminum alloy the temper including H111 / 0 / H14 / H16 / H18 / H34 etc. 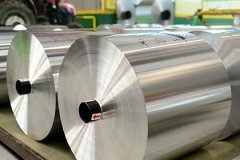 2024 aluminum sheet is a typical hard aluminum alloy (Al-Cu-Mg). It has more reasonable composition and better overall performance. 1070 aluminum sheet can be used for producing some structures with specific properties such as aluminum gasket.